LionsGate and WWE have just released the first trailer for Vendetta, the new action film from the Twisted Twins. We have your first look at the trailer below. The film will open in theaters and across various Video On Demand outlets June 12, 2015. This is the second picture the Twisted Twins have helmed for WWE and LionsGate, the first being 2014’s See No Evil 2. I said before that while Vendetta isn’t a proper horror flick, it’s still bound to have some definite horror undertones given the pedigree of the directorial duo behind it. And from checking out the trailer, I think that was a fair statement. It looks like the film will be action packed with a hefty helping of violence and grindhouse influences. 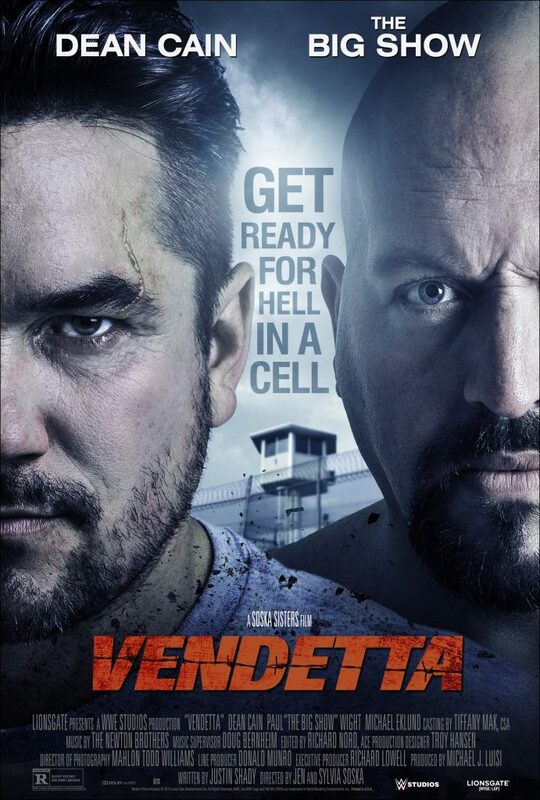 Vendetta‘s core cast includes Dean Cain, Paul “The Big Show” Wight, Michael Eklund, Benjamin Hollingsworth, Adrian Holmes, Matthew MacCaull, and Kyra Zagorsky. Stay tuned to the site between now and the film’s June 12 release date for more info on this upcoming title as it is announced. Previous ArticleCheck Out this Red Band Trailer for Ex MachinaNext ArticleWhatever Happened to the Masters of Horror?